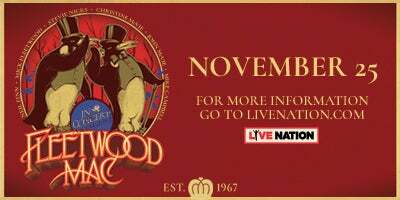 Fleetwood Mac returns to Oracle Arena on November 25, 2018! 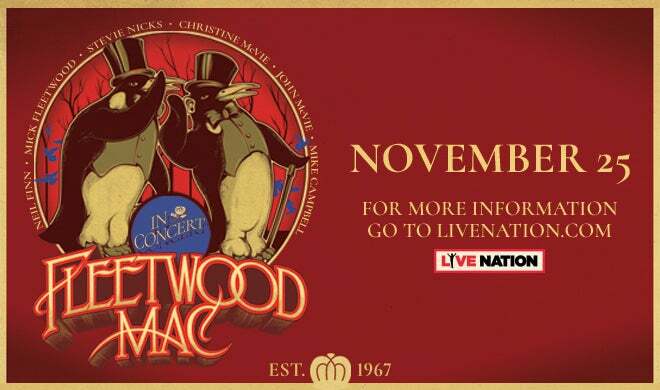 Presale tickets for Oracle Arena subscribers will be available Thursday, May 3rd from 10am-10pm. Tickets go on sale May 4th at 10am. Doors Doors open one hour prior to show time.